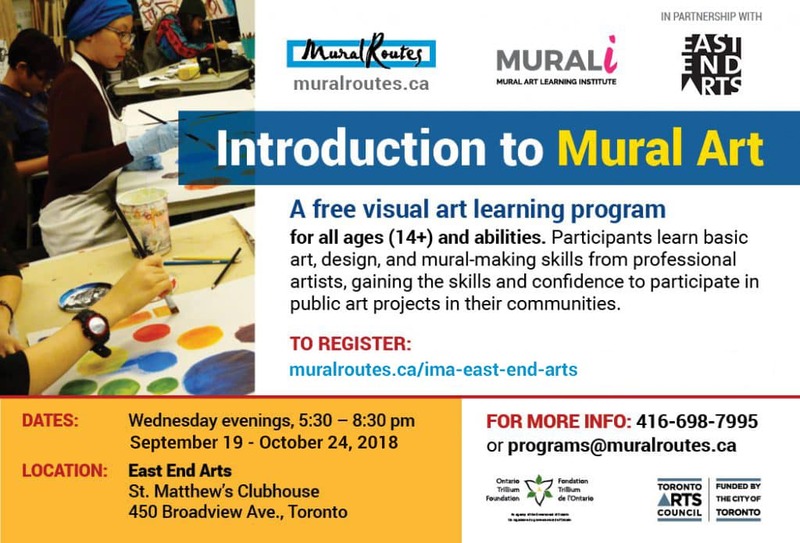 Mural Routes is excited to partner with East End Arts for our next Introduction to Mural Art series of workshops. Who: Ages 14+ ; no experience needed, all skill levels are welcome. Contact: programs@muralroutes.ca for more information.